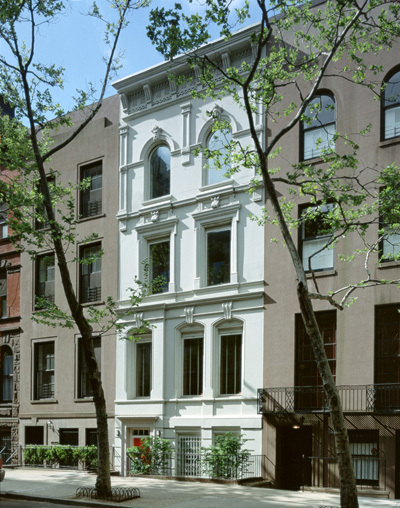 The Wells townhouse, located in Manhattan’s historic Carnegie Hill district, is a five story single-family house originally constructed in the mid 19th century. Previous renovations include the removal of the original entry stoop, the relocation of the entry to the ground floor, construction of a fifth floor and the construction of an open five story stair. 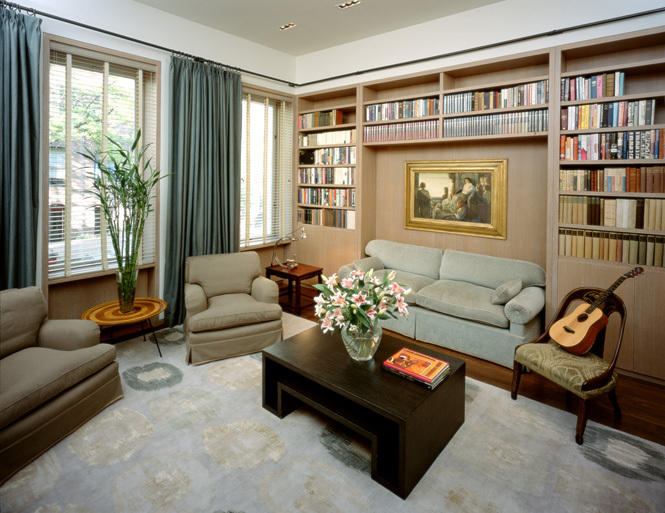 This renovation reorganized the first two floors by locating the kitchen and dining room on the second floor and by creating a nanny’s room and children’s playroom on the ground floor. 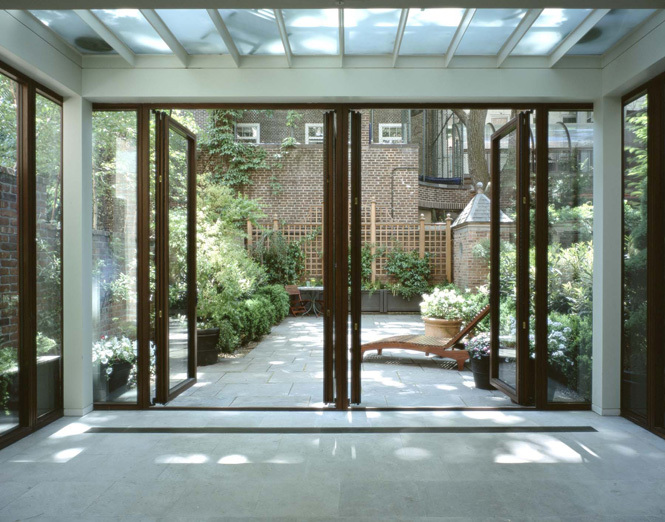 A one story glass and copper enclosure constructed off the rear facade creates a sun room for the playroom and a garden terrace for the kitchen and dining area above. The third floor was completely redesigned to provide a large master bedroom suite, including a large windowed bathroom, large dressing room and a study. 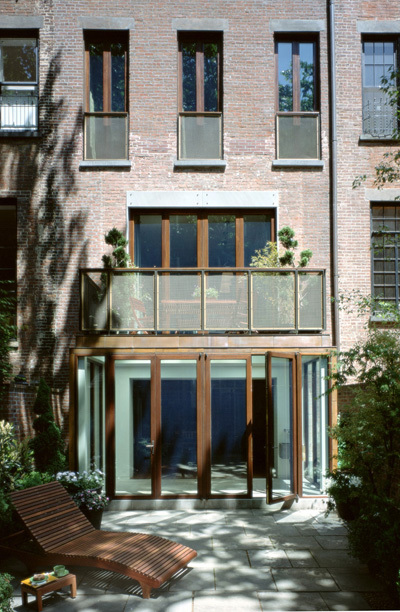 The master bedroom’s windows were replaced with glass doors to create french balconies overlooking the rear garden. The upper two bedroom floors were reorganized to better accommodate the Owners’ four children. A large skylight, reflecting the shape of the remodeled stair below, was added to bring more natural light to the middle of the house.